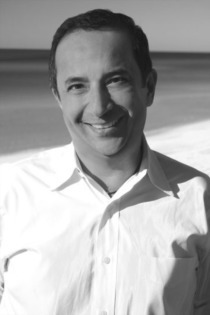 Amin Delawalla has been in the Real Estate business, first as an investor and then as a Realtor for over 18 years. Amin moved to the Emerald Coast of Florida in 2005 from Atlanta, Ga. After 20+ years of managing multiple restaurants he opted to move to the beautiful Emerald Coast of Florida to enjoy the beautiful beaches he always visited but was sad when it was time to leave and go home. With him, Amin brought his unique style of doing business with a "Hands On, Customer First" attitude and his business skills of negotiating a deal, work ethic and Integrity. This style of treating every customer as a "Priority" and his "Dedicated Work Ethic" has enabled Amin to become the "Top Agent" in 2006, 2008 and 2009 and 2010. Amin is also a very active member of the local community and serves on the Board of Directors for Children's Volunteer Health Network.